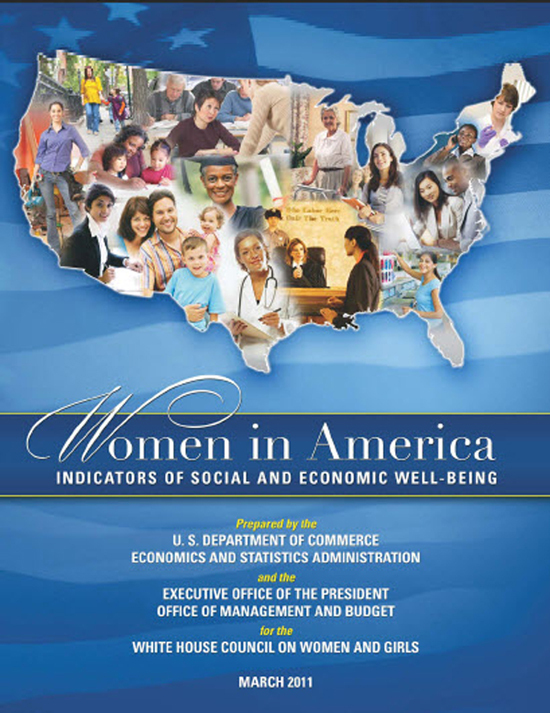 Today, the White House released a new report entitled Women in America: Indicators of Social and Economic Well-Being, a statistical portrait showing how women are faring in the United States today and how their lives have changed over time. This is the first comprehensive federal report on women since 1963, when the Commission on the Status of Women, established by President Kennedy and chaired by Eleanor Roosevelt, produced a report on the conditions of women. Women in America Report. Women in America focuses on five critical areas: people, families and income; education; employment; health; and crime and violence. The administration will be honoring Women’s History Month throughout March, and will highlight a different section of the report every week.